JaQuez is using Smore newsletters to spread the word online. 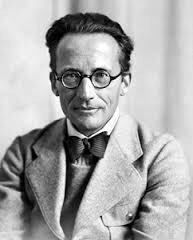 Austrian physicist, took the Bohr atom model one step further. 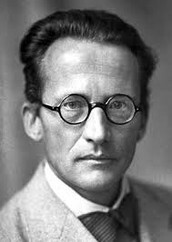 Erwin Schrodinger used mathematical equations to describe the likelihood of finding an electron in a certain position. 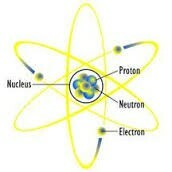 This atomic model is known as the quantum mechanical model of the atom. The quantum mechanical model does not define the exact path of an electron, but rather, predicts the odds of the location of the electron. 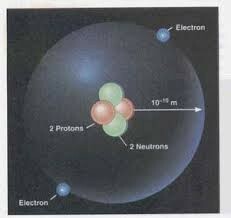 This model can be portrayed as a nucleus surrounded by an electron cloud. Where the cloud is most dense, the probability of finding the electron is greatest, and conversely, the electron is less likely to be in a less dense area of the cloud. Thus, this model introduced the concept of sub-energy levels. Instead of specific planet-like orbits, the orbits are pictured as smeared clouds. Nobel Prize winner for his work in quantum theory. It changed the way people understood the workings of the world. 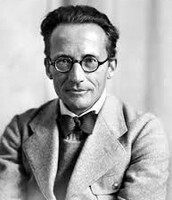 He married his longtime sweetheart , Annemarie Bertel. She was his faithful companion until his eventual death in 1961. Erwin moved to Berlin to continue his work. He decided to leave Germany and live in England.